My name is Elita Chamdimba, I’m 26 years old and I’m from Malawi. This is my story. In my bachelor’s degree, I studied Social Sciences with a major in Sociology and a minor in Economics and Demography. I’ve always been interested in people, that’s one of the major reasons I was driven to this particular area. Social Sciences is really a people’s subject, which is why my major ended up being Sociology. I’ve always been curious about things, people, culture and society. For my master’s degree, I chose Social Science again but with a specialisation in Social Work. I had a lot of expectations when I arrived in Norway. Everyone warned me about the rain, which I thought was maybe an exaggeration but I have discovered that it was not. It does rain a lot! But I’ve gotten to meet people from all over the world. It’s been a great, international experience. My research project consists on looking into the experiences of girls in child marriages in Malawi. It’s really interesting but I get funny reactions from people when I tell them what I’m studying. I’m always like “Yeap! I’m studying that!”. It’s a pretty intense topic, so I get why they react that way. Sometime in 2016, a campaign started in Malawi to end child marriage, aiming to outlaw it. I hadn’t really look into this phenomenon before then but the campaign inspired me to read up on it, as well as to follow the campaign closely. After really getting into it, I learned that according to the UN by 2012, Malawi had the 8th highest percentage in child marriages. That’s what motivated me the most to learn about this and study it in a way that had never been done before. 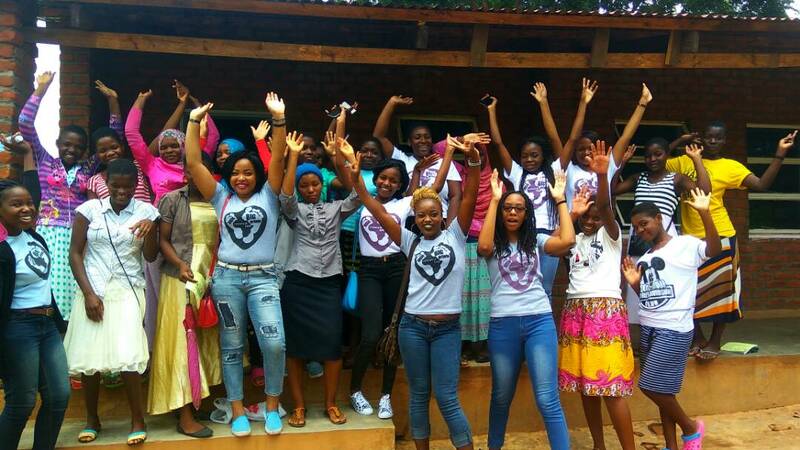 Little Big Prints, a project I founded and now direct, is a group of young, female Malawians that has come together to take action towards girls’ education in Malawi. We do that by providing and training mentors that later get sent out to rural secondary schools in Malawi to be mentors for young girls. Our target number of mentors is fifteen for each project cycle, and management are four people, including me. We are all women, both recent graduates and university students. It’s easy to see how my background reflects on my project. I’m a Malawian female first of all. I have a great passion for development in the area of girls’ education and it’s also connected to my dissertation of my Bachelor’s degree, which was about NGOs that cover girls’ education. I want to inspire other girls so that they can know that they can do and be what they want to be and that there is always a purpose that they can pursue. Recently I read a quote about how going abroad can put things into perspective. At Nord University, I was one of two Malawians, which definitely helped put things into perspective. Overall, it’s been a good experience. After my studies, I’ll head back to Malawi and since I’m really passionate about girls’ education and development, I’m looking forward to get into that scene. I’m looking forward to putting what I’ve learned in Norway to good use. Mainly, I want to scale up what we’ve been doing through Little Big Prints. 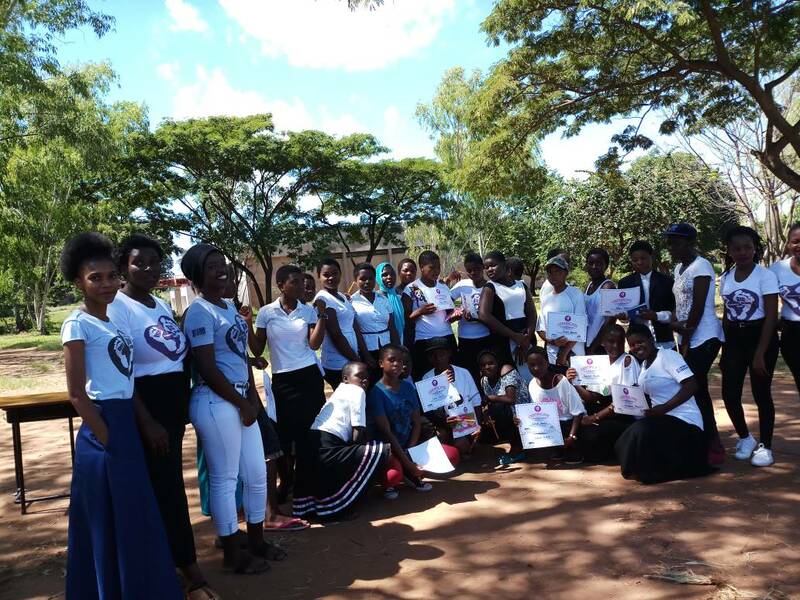 A training manual is coming up so we can train mentors all over Malawi and reach out to the girls in “unassuming locations”. In the long run, it would be great to expand Little Big Prints outside of Malawi but I’ll focus on expanding it within Malawi first.